At Hanto + Clarke our mission is to serve each client with distinction while producing an exceptional product. 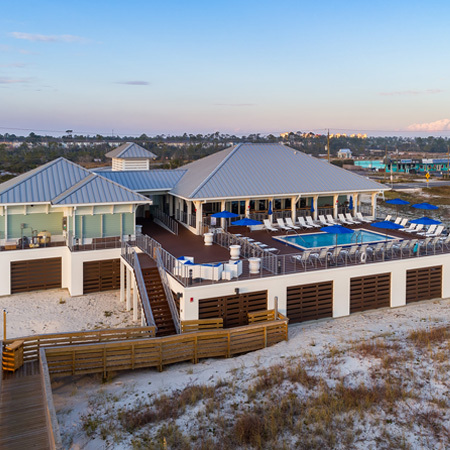 Located in Pensacola, Florida, Don Hanto and brothers Mike and Stephen Clarke founded Hanto & Clarke General Contractors with the goal of becoming the contractor of choice in Northwest Florida. 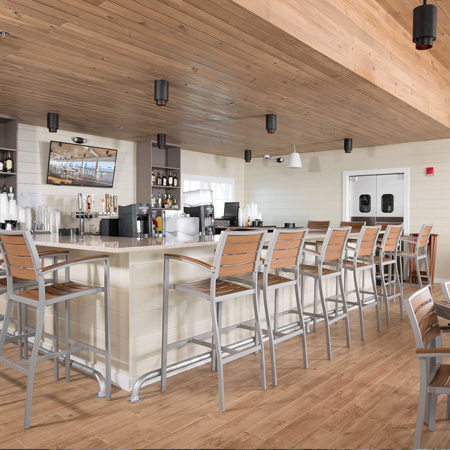 As licensed general contractors, our leadership has more than 75 years of combined experience performing both new construction and renovation projects within the commercial, financial, industrial, institutional, hospitality, medical, government and educational markets. 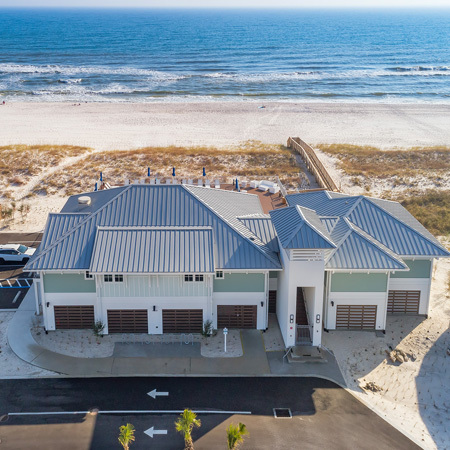 From design-build to construction management services, we are one of the premier licensed general contractors in Pensacola, Florida. We believe our focus on client service is what sets us apart in our area. We have firmly established our core values of client-focus, excellence, commitment, passion and integrity. These values are apparent in every task that we perform for each and every client. Having been involved in many projects from conception to completion, we recognize the importance of assembling our project team as early as possible to provide the best possible outcome with respect to the owner’s expectations. When you select us for your project, you will have full ownership buy-in from Hanto & Clarke. At every step of the way, you will have a team that is thoroughly committed to exceeding your goals for the project and in bringing your vision to life. Our job is not complete until you are completely satisfied. A full-service general contractor that specializes in new construction, large-scale renovations and additions, remodeling projects and more. Build-to-suit services. We can assume all development responsibilities, including site acquisition, architectural, engineering, and construction. Strong partnerships with subcontractors and suppliers, ensure that we maintain total control over quality, safety, costs and scheduling. When you select Hanto + Clarke, you can count on our more than 75 years of experience in the construction industry that enables us to serve you better and help you cultivate your vision into reality. We are proud of our portfolio of completed projects and repeat clients that demonstrates our outstanding quality and ability to meet budget and schedule. When you hire us, we are your partners throughout the process from the beginning to the end. You will benefit from our strong relationships with architects and subcontractors. We can help you create your vision from the beginning or work with the plans you already have in place. During the project, we place a full-time supervisor on each project to ensure we provide top quality, come in within budget and meet deadlines. Throughout the project, communication is a key factor in our relationship with you. We will keep you informed of our progress, come to you with any questions we need to be answered and make you a top priority when an unexpected event arises. We view obstacles not as problems to overcome, but as opportunities to make sure your project realizes your vision. "I would recommend Hanto & Clarke for anyone looking for a commercial building. I get a lot of comments from the community and our patients in how it's the nicest building in the community that they've been to." 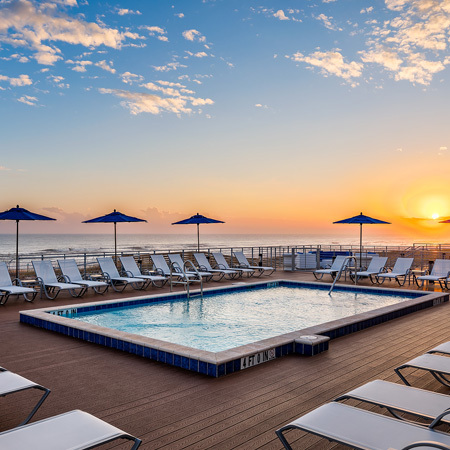 Lost Key Beach Club has everything you could want in a beach destination – exclusivity, luxury and fun. 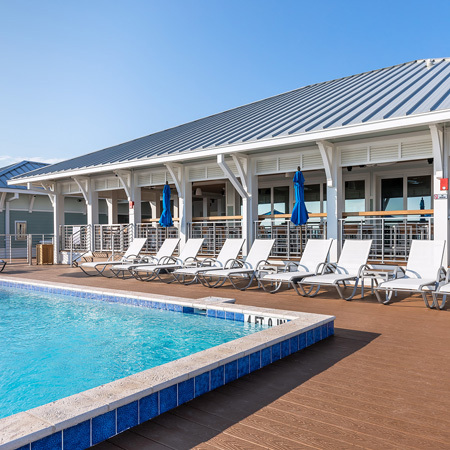 With beach access, dining, and a pool directly on the Gulf of Mexico – no need goes unmet. Hanto + Clarke was the general contractor tasked with making this building come to life. 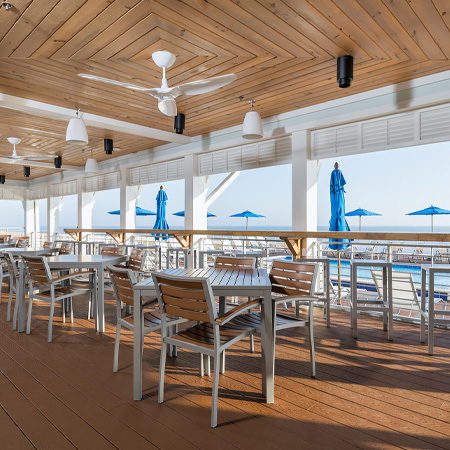 As a beach construction property, the building challenges were largely environmental. There were regulations we needed to follow to protect the dunes. This limited our space for equipment, materials and staging areas. Beach mice and sea turtles were another challenge. We had to protect the wildlife and educate our workers about how to identify and protect them. Being over budget presented another challenge, but we were able to value engineer the project and save our client nearly $300,000 to keep the project moving forward – with excellence, on time. We provide a single point of contact from concept to completion. Whatever your vision, we will bring it to life. Our job is complete only when you are satisfied. We make sure we are controlling costs, timeline, and safety. We manage contracts and permitting. We secure materials and subcontractors. We have a full-time supervisor on each site. We can customize a project to your specific needs. We maintain control over the financing, design, construction, and management of your project. We can help you create a vision, or we can bring the idea you already have in mind to life. We welcome project proposals from non-profit organizations and will continue to donate construction services as time and resources allow. Philanthropy is important to Hanto + Clarke, so please contact us for more information. We prioritize outstanding quality, safety, attention to detail, and strong, lasting relationships with clients. Our clients benefit from our solid relationships with local architects, engineers, subcontractors, and vendors. We perform new construction, large-scale renovations and additions and more. We manage your project from beginning to end and can partner with any vendor from architects to designers.